New York, NY – (September 8, 2010) – Designers Sheanan Bond and Cherise TrahanMiller will present their latest collection at the Nolcha Accessory Presentation during New York Fashion Week from 12-6 p.m. on Tuesday, September 14, 2010. The presentation will be held in the Thomson Reuters Building | 195 Broadway, between Fulton street and Dey Street, New York City. “5”, Adha Zelma’s newest collection, is the magical spell of sand dunes, the blue waters of the Sinai Peninsula and Sculpture work by Andy Golds Worthy. The pieces are reflective of a modern nomad qnd bold statement pieces encircle you. The collection is a desert song of chunky nuggets, facets, ivories, water geodes and shimmering draping droplets. The past Adha Zelma collections have garnered a lot of attention and in their first appearance at Nolcha Fashion Week “5” is sure to do the same. The Brooklyn-based design team has a breadth of inspiration from which they draw: ancient cultures, music and dance, art, design, folklore and the materials they unearth. Their creative process for “5” was centered on the energy of each stone leading the art form. Nature provided their poetic and rhythmic discovery. Sheanan’s artistry as a sculptor shapes and forms the collection while Cherise’s balance of storytelling and graphic design creates an enchanting brew, seducing you like a new romance. 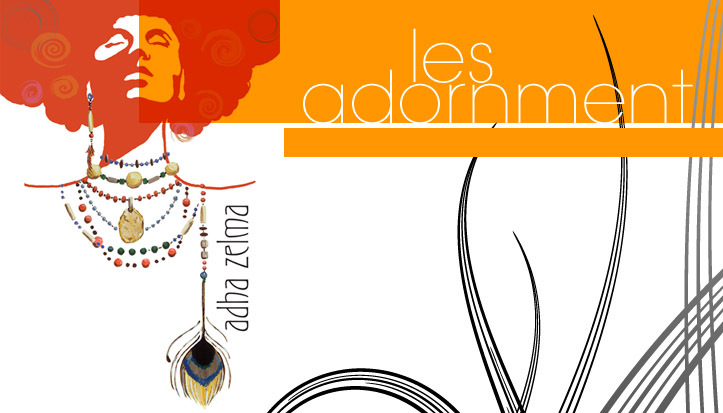 The Adha Zelma atheistic is bold and organic. The designers are moved to create pieces that celebrate the female form and shape new rules for those who are fashion-forward. Nolcha New York Fashion Week is a multi-day event showcasing couture and luxury fashion. Nolcha is a leading business platform for independent fashion designers and retailers via educational and event resources; making business easy for the fashion minded.